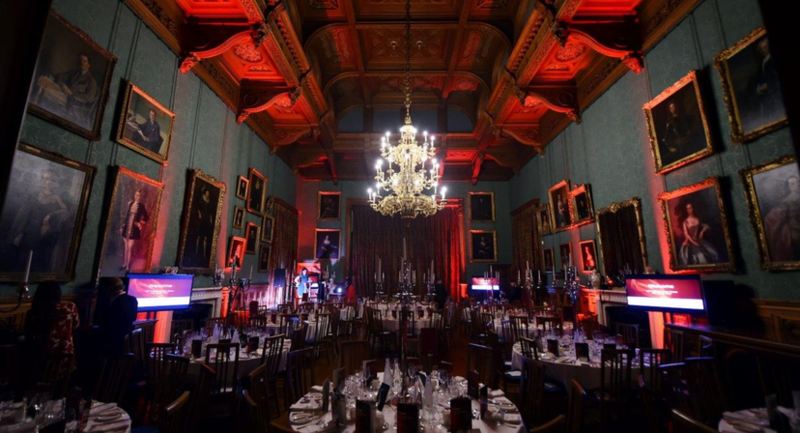 From entertaining distinguished guests and clients to providing an inspirational backdrop for a sales conference or product launch, Knowsley Hall and the Knowsley Estate offer a venue with incomparable character and refinement. 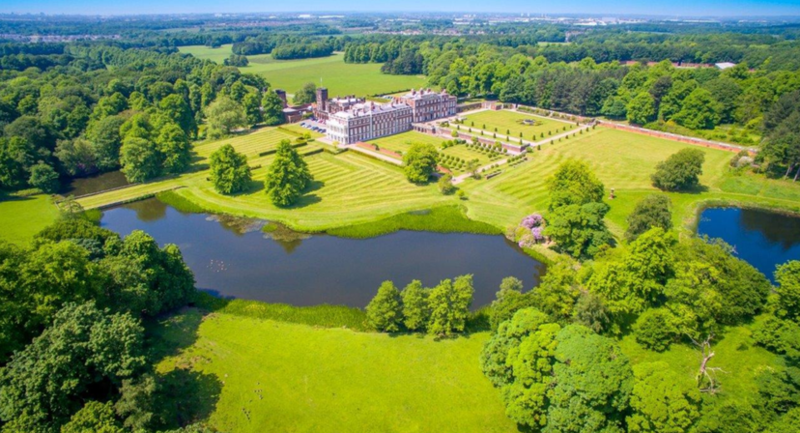 Set in over 2,500 acres of a private walled estate, Knowsley Hall is home to The Earl & Countess of Derby and has welcomed royalty and distinguished guests since it originally opened its doors in 1495. 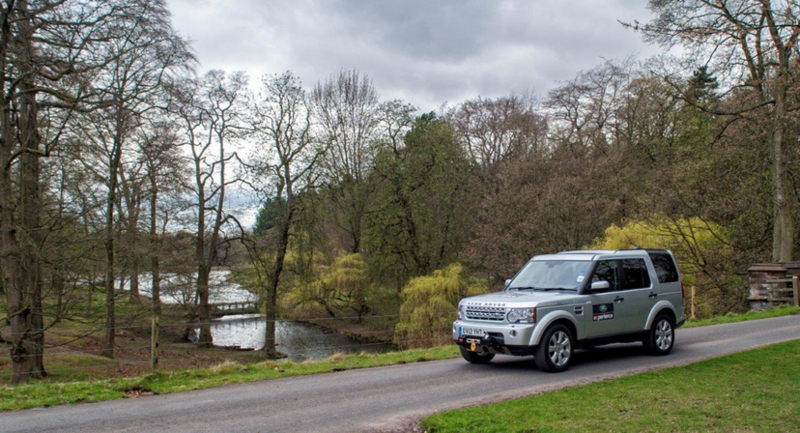 The interior of this historic stately home offers a flexible space for a range of meetings and events. 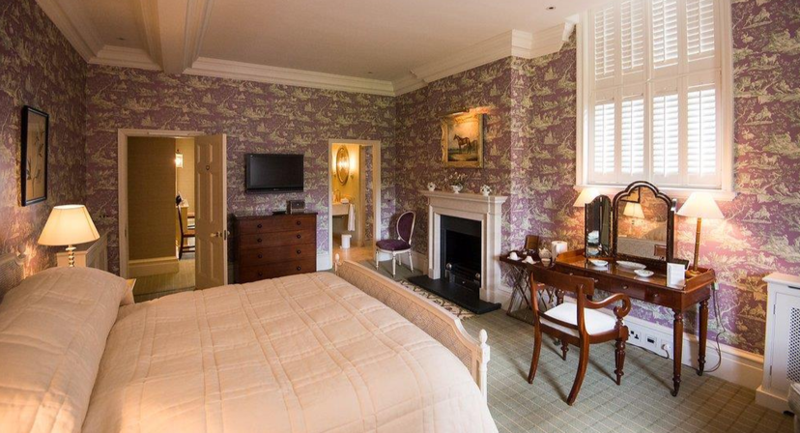 From a glamorous client party to a board meeting, the wide selection of rooms offers exceptional variety and choice. 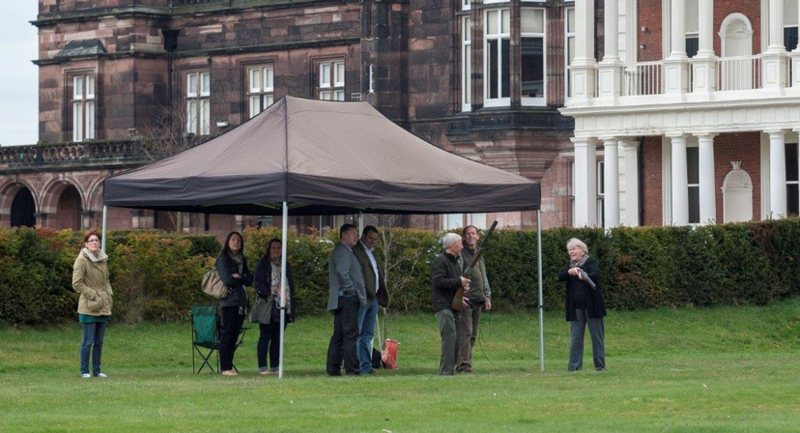 The combination of indoor space and outdoor facilities make the Knowsley Estate a really interesting option for all types of events. 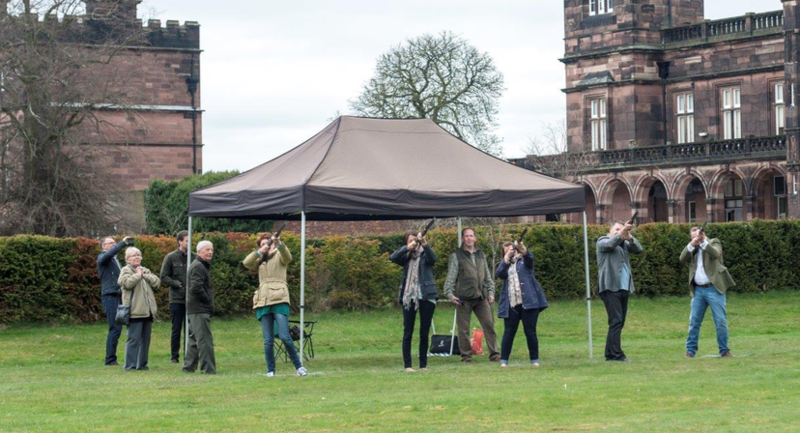 From archery, paintballing and bushcraft activities and personal tours of Knowsley Safari, there is a diverse mix of outdoor activities to suit your needs. 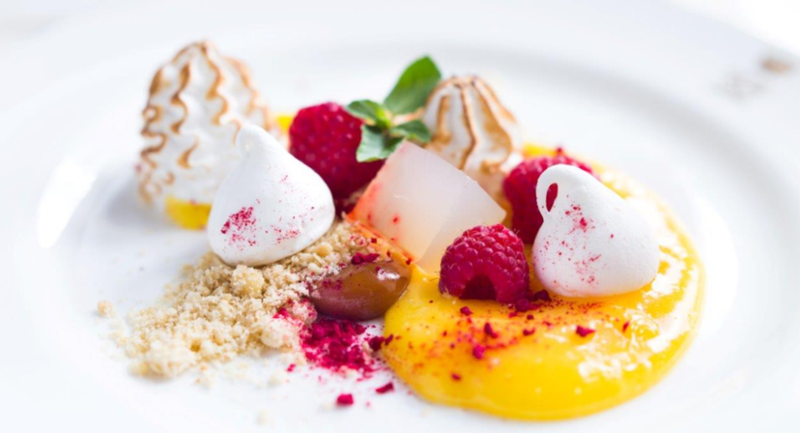 Knowsley Hall has a strong reputation for exceptionally high dining standards. 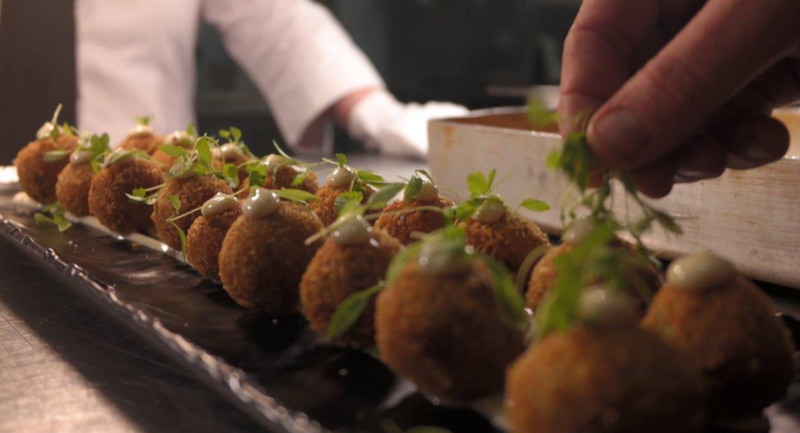 Consult with our in-house team of chefs to plan your menus which are right for your occasion or event. 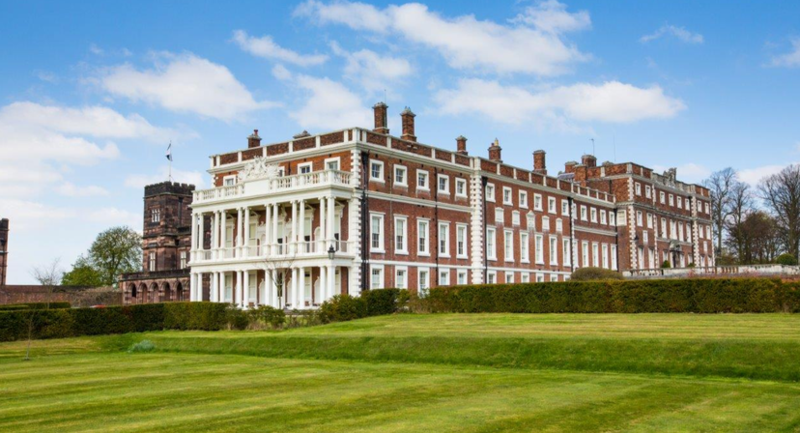 If you would like to include an overnight stay, Knowsley Hall really is something special, with a range of 16 bedrooms available for your guests. 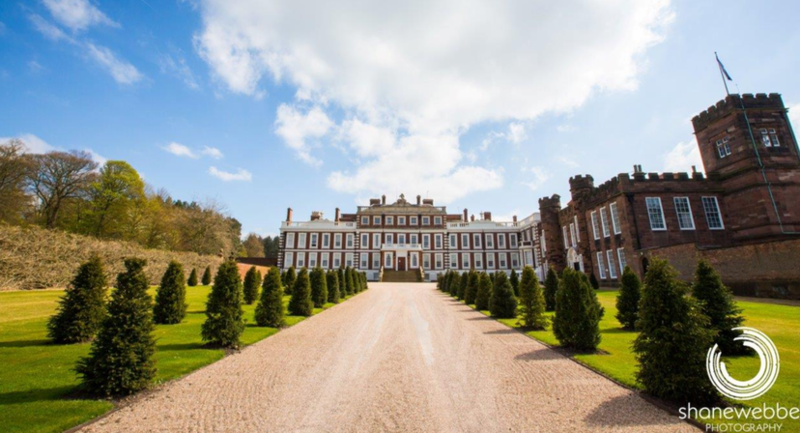 The team is also proud to say that Knowsley Hall is the only stately home in the country to be awarded 5* gold standard by Visit Britain. 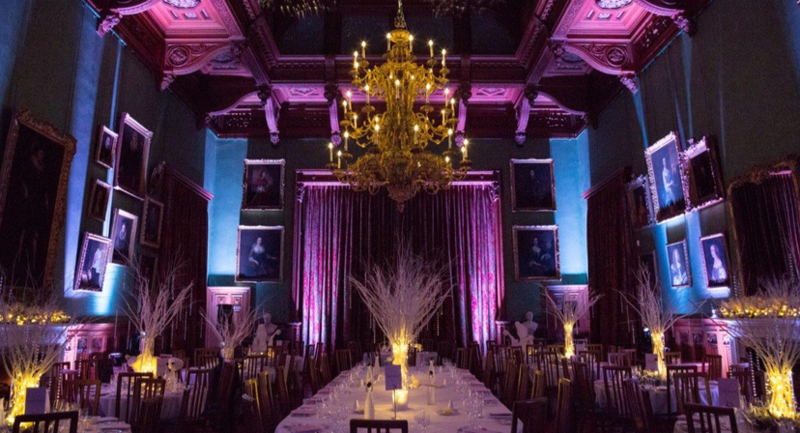 For larger parties, the Hall works with carefully selected hotels nearby and can organise your travel arrangements for you. 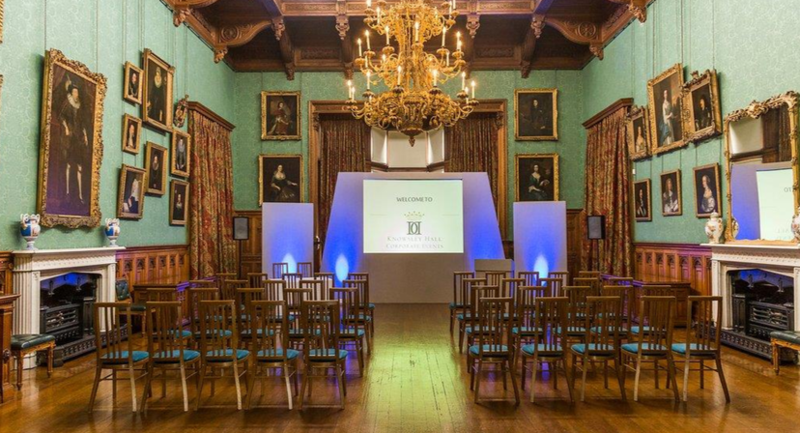 This impressive room happily houses presentations, conferences, formal receptions and of course formal and informal lunches and dinners. 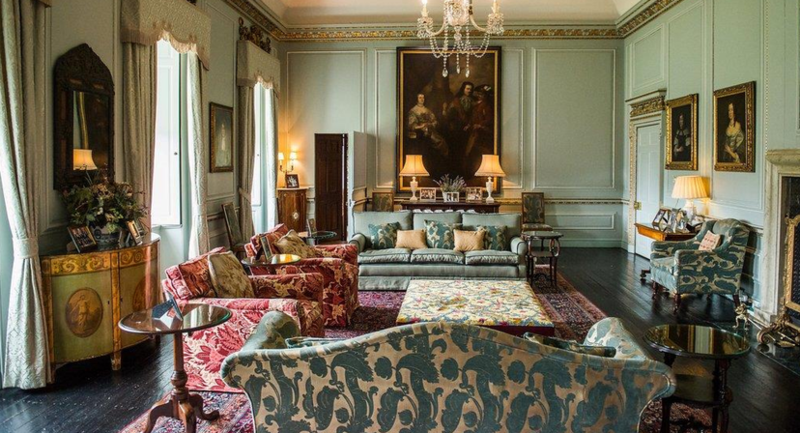 Featuring walls full of family portraits dating back to the 15th century, an antique gold chandelier and original fireplaces, it really is quite a regal setting. 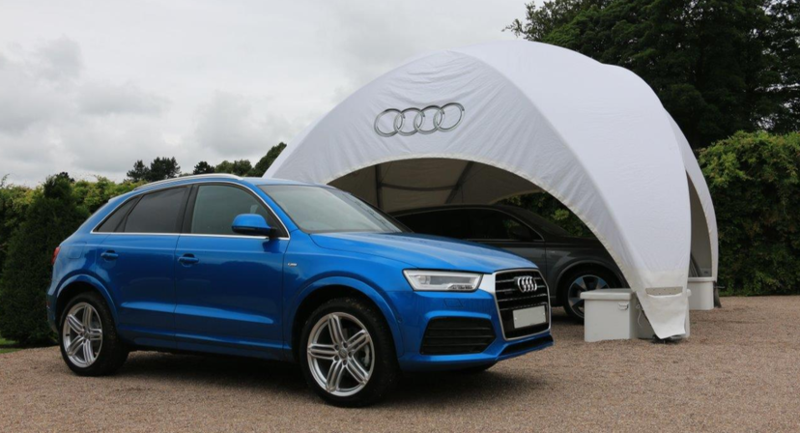 A large, dramatic and flexible space – can be used as successfully for presentations and conferences as it can for large receptions and dinner dances. 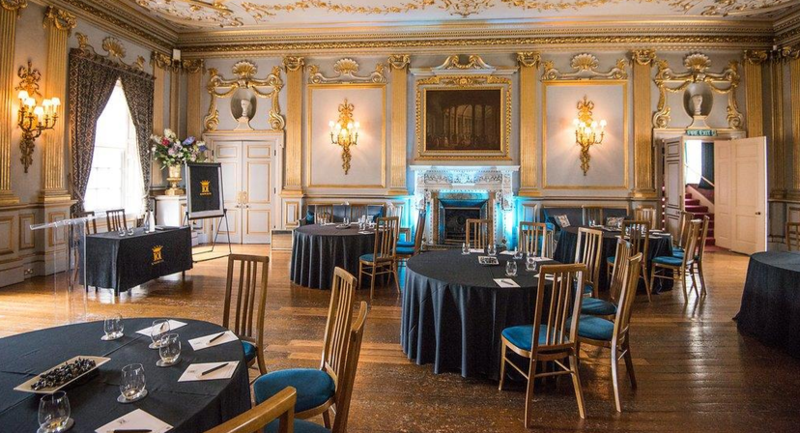 The ballroom can accommodate theatre style seating and features a beautiful ornate bar at the far end, perfect for post presentation conversation and reflections. Used for presentations, conferences, dining and receptions. Used for meetings, break out room and presentations. Our Morning Room is the ideal space for relaxed breakout sessions or informal meetings. Used for break out room and receptions. 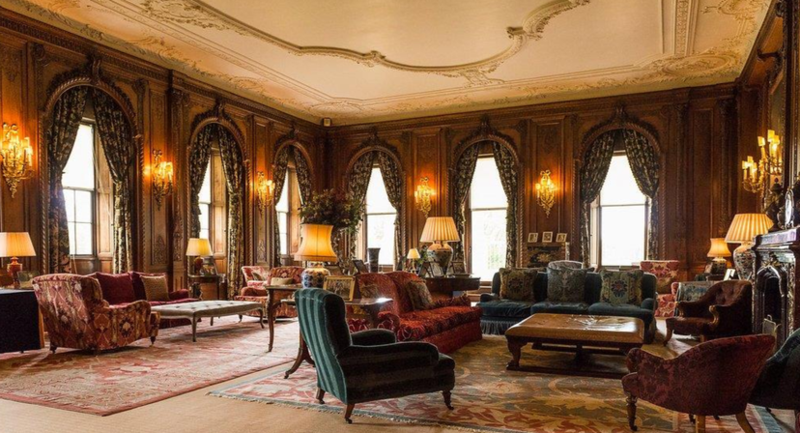 This is a delightful reception room for a mid-sized gathering. Spacious, comfortable, elegant and overlooking the beautiful terrace and gardens, it is also often used as a break out space. This elegant room is the perfect environment for a smaller/select meet and greet – elegant, light and uplifting. 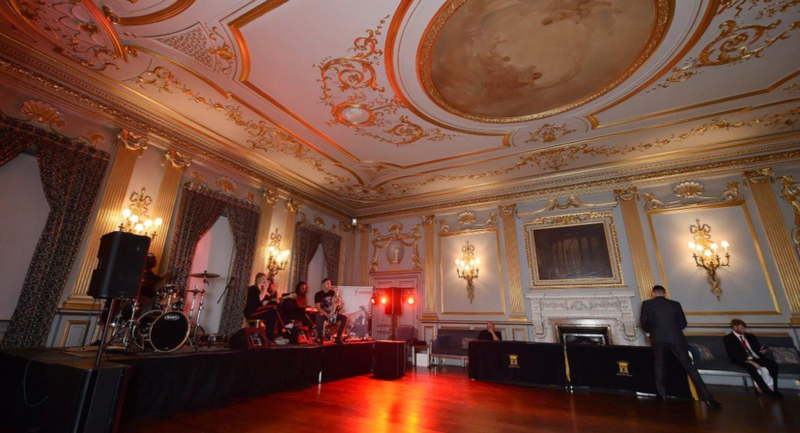 As well as making an excellent reception room it’s also often used as a break out space. This part of the Hall was originally built back in 1495 by the 1st Earl of Derby to celebrate the visit of his stepson, King Henry V11. 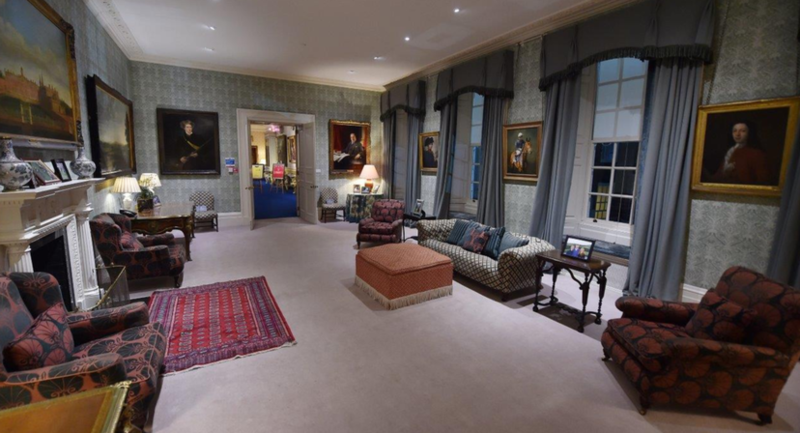 This annexe of the Hall has been restored to its forma glory after undergoing a massive restoration & refurbishment project. Used for meetings, receptions and dining.